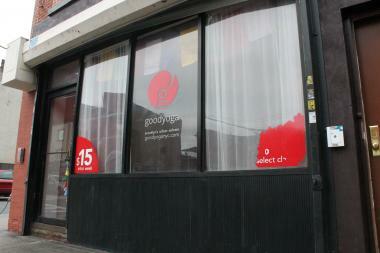 Good Yoga, at 602 Myrtle Ave., closed because the building is just too cold, according to an email from the owners. BEDFORD-STUYVESANT — It's a downward-facing chilly dog. A Bed-Stuy yoga studio was forced to close its doors because their building was just too cold to practice in, according to an email sent to members. Good Yoga, at 602 Myrtle Ave., announced to members last week that they would offer refunds to everyone who signed up for classes because of a problem with the building's heating system. The yoga studio's owners started to experience heating problems last winter, but decided to stick with the building because they said they were told it would be fixed this year. "Despite their assurances that this winter would be different, it's worse," read an email to customers. The studio opened in October of 2012 and houses a juice bar and cafe along with the yoga studio. Since opening, Good Yoga membership had grown 900 percent, according to the studio's owners. But as winter rolled in, they began to see people cancel their memberships. "[W]ith each cold day, we were issuing more and more refunds to students who love our service but hate the cold space," a statement from the company read. "There was no other option." Making matters worse is the fact that the company, which owns four studios across Brooklyn, also lost their brand new Greenpoint facility when a water main froze and broke, flooding the studio. The landlord at 602 Myrtle Ave. let the company out of its lease, and there were no immediate plans to relocate the studio, according to the owners.